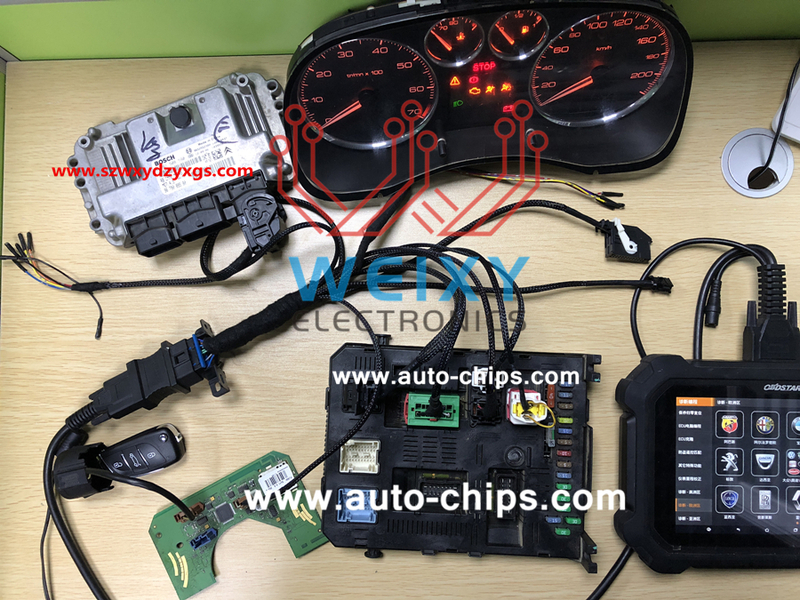 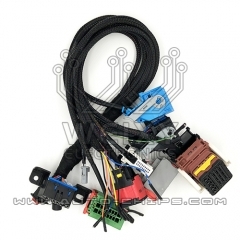 This test platform applied to connect the dashboard,COM2000,BSI,ECU on the bench,Key making, mileage correction, clone BSI or ECU data by OBD, reading PIN code by OBD and many more. 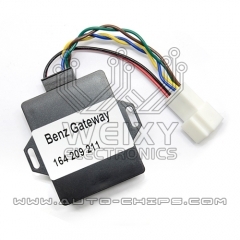 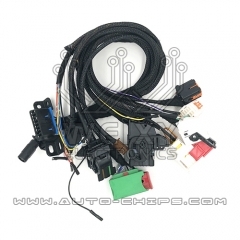 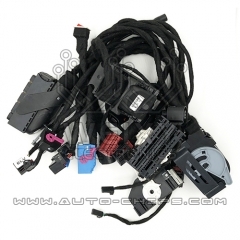 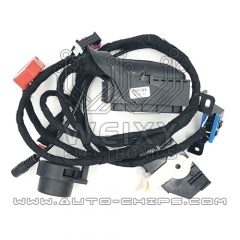 In addition it also support online programming and check the troublecode by OBD. 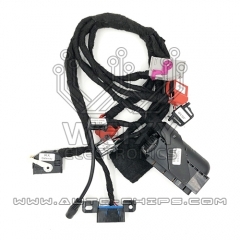 It suitable for locksmith and for those who do auto electronic repair. 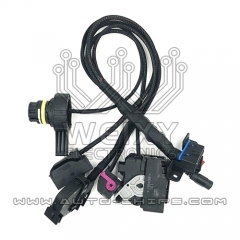 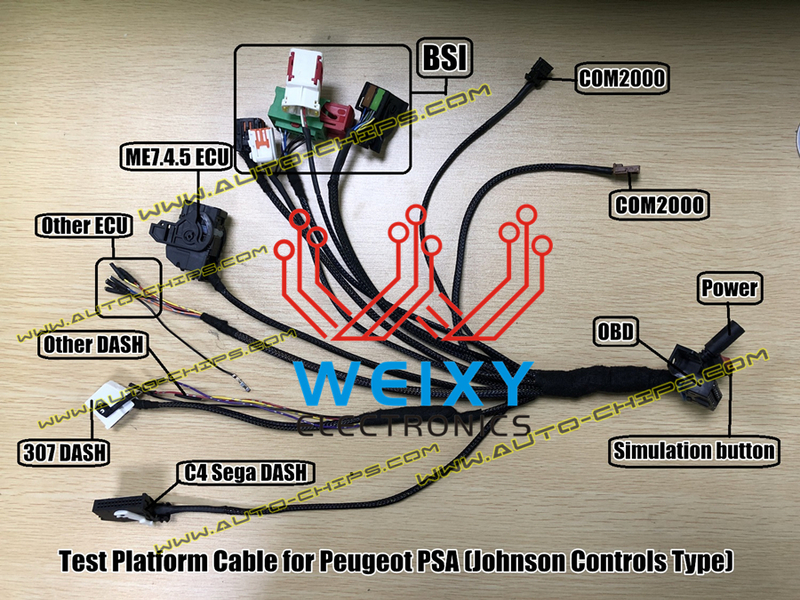 Test Platform Cable for Peugeot PSA (Continen..
Test Platform Cable for BMW CAS2 & CAS3..
Full Test Platform Cable for BMW CAS2 & CAS3..
Test Platform Cable for Peugeot PSA (Johnson ..
Mercedes-Benz W164 209 211 Gateway Emulator..
Test Platform for Audi Q7 A6L J518 ELV..
Full test platform cable for Volkswagen MQB s..
Test platform cable for Volkswagen Passat B6 .. 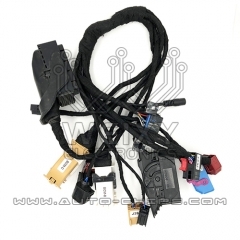 Copyright © 2008-2019 Shenzhen weixinye electronics co.,ltd.